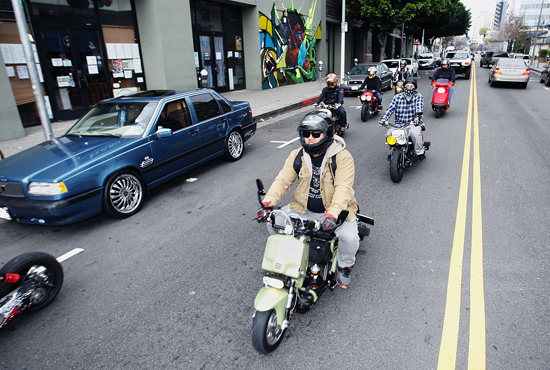 The Ruck Out, the first annual custom scooter ride and meet was held Saturday. 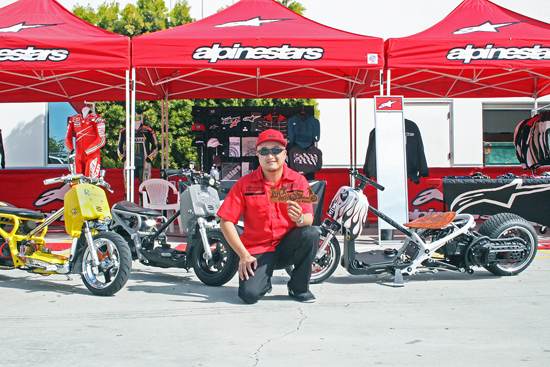 Sponsored by Alpinestars, Cycle World, Fatlace and Honda, over 80 riders cruised their Honda Ruckus scooters and motorcycles from Illest in Little Tokyo to Honda headquarters in Torrance, then to their final destination at Alpinestars headquarters in Torrance. Photos: top, RUCKSTERS CUSTOMS; below, AYAME KOUSAKA/Rafu Shimpo.